Welcome to the Deep South USA newsletter for December 2013. We will bring you all the latest news on the southern US states of Alabama, Georgia, Louisiana, Mississippi & Tennessee as the official UK representatives. After filming '12 Years A Slave' in New Orleans, Benedict downloaded the WWOZ New Orleans radio station to his phone, to carry a little piece of New Orleans with him everywhere he goes! 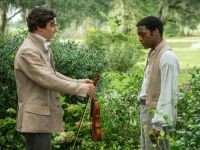 12 Years A Slave is based on the 1853 autobiography by Solomon Northup who was kidnapped in Washington DC and sold into slavery in 1841 to work on a plantation in Louisiana for 12 years until his release. The film was released in the US on 1st November and comes to the UK on 28th January. Directed by British director Steve McQueen with British actors Chiwetel Ejiofor as Solomon Northup and Benedict Cumberbatch as plantation owner William Ford and also stars Brad Pitt as a carpenter opposed to slavery. “Being tied with the spa at Caesars Palace, and ahead of every spa in Palm Beach Florida says a great deal for our spa team and the services provided, plus the Spa at the Grand was also considerably lower than most for spa treatment prices,” said Bruce Smith, General Manager. "Mississippi's influence can be heard everywhere," said Bob Santelli supervisor of the project design team. "The music born in Mississippi has shaped the development of music in America and beyond. 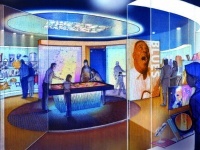 The GRAMMY Museum Mississippi will help the rest of the world recognise Mississippi's contribution to American music culture." The museum is expected to open Summer 2015. Never has there been a city so rich in the history of music that it exudes creativity at every turn. For more than 130 years, Nashville, Tennessee has been known as the world's Music City. Now in the documentary For The Love of Music: The Story of Nashville, which you can watch if you click more information below, the story behind the Nashville music scene is told through the eyes of many of the musicians, songwriters, producers and artists who live and breathe its inspiration. "You can't get that many talented people in one area and expect the genres not to grow," Ben Folds recounts in the documentary which features more than 30 artists, including Kings of Leon, who provide a personal and captivating account of how Nashville has evolved into the world's Music City. As Dan Auerbach of The Black Keys notes "There really are no parameters, no walls. You can do whatever you in Nashville." Established 18 years ago in Dublin, Tour America is now Ireland's leading specialist for holidays to the USA. With a team of 50 based in Dublin and also Cork offering exceptional customer service and extensive product knowledge the team can tailor make the perfect holiday for you! Whether its a City Break in New Orleans, a twin centre holiday in Memphis & Nashville or their favourite fly drive packages taking in the five Deep South States they have the perfect holiday for you! 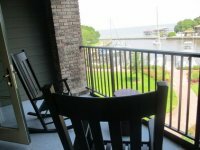 Click more information for special offers exclusive to Deep South USA for bookings via our website.